The annual Asia Pacific Network of Science & Technology Centres (ASPAC) Conference took place at China Science & Technology Museum (Beijing) from 17th to 20th May last week. This is an event where representatives of Science Centres from the ASPAC network gather and learn from each other through plenary and parallel sessions, and networking events. 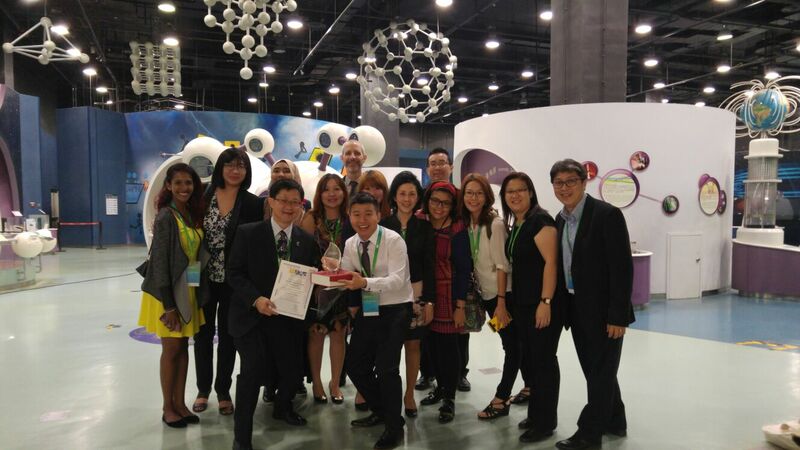 Science Centre Singapore (SCS) sent a delegate team of fourteen, and even came back with an ASPAC Creative Science Communications Award, recognising STEM Inc‘s outreach efforts to promote STEM Applied Learning. Kudos to STEM Inc for clinching this award for SCS! Check out some of the other photos taken during the Conference!